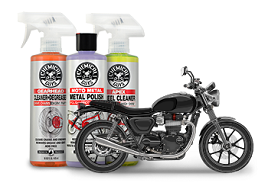 Leather Cleaner is a gentle cleaner that removes dirt, grease, body oils, sweat, food residue, and light stains from fine natural leather, durable sealed leather, and synthetic leather materials. Brand new leather does not look shiny or feel slippery: it’s the buildup of body oils, grease, grime, and filth that gives leather a glossy appearance. Leather Cleaner lifts and separates grease and dirt from deep within the pores of the material, ensuring a thorough cleaning job. 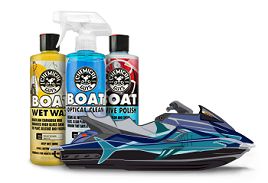 The clear formula is non-caustic and contains no petroleum products that could dry out or stain leather. The natural fibers of leather will break down with the passage of time, harsh elements like UV rays, sulfurous and nitrous pollutants in the air. When you take care of leather, it is important to clean the leather first before you condition it. After all, you don’t put lotion on before taking a shower! 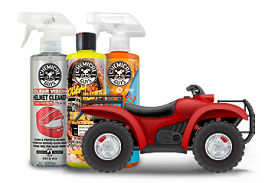 Leather Cleaner penetrates deep into the pores to lift up the dirt and dust for easy clean-up. Always test new leather care products on an inconspicuous spot to check for colorfastness and desired results. Pair Chemical Guys Leather Cleaner with the Horsehair Leather Cleaning Brush. Spray Leather Cleaner directly into brush bristles and scrub dirt and filth from the affected area. Wipe up excess cleaner and loosened filth with a premium microfiber towel.